The idea of physical and occupational therapy is often associated with recovery after surgery, broken bones, or a stroke. But those with breast cancer may also find it beneficial. In fact, rehabilitation during and after breast cancer treatment can reduce the treatment side effects and help with the recovery process. Both physical and occupational therapy use exercise-based therapy interventions to improve strength, stamina, and balance. Aerobic conditioning exercise can lessen side effects by improving muscle conditioning. Many individuals who are diagnosed with breast cancer may undergo surgery or radiation as part of their treatment plan. Both surgery and radiation, while helpful in fighting the cancer, can have side effects that include pain, swelling, and tightness in the breast, arm, and axilla (armpit). Fortunately, physical and occupational therapists are able to recognize cancer treatment side effects and offer the appropriate therapy. The goal is to not only reduce pain but to also improve mobility and function. Chemo–induced peripheral neuropathy: tingling and pain in the hands and feet that can lead to balance and gait disturbance, which increases the risk for falls. Cancer–related fatigue: a chronic state of fatigue associated with chemotherapy and radiation therapy side effects, which can impact a patient’s ability to perform daily activities. Both of these side effects from chemotherapy can be managed with therapy interventions designed to lessen the severity of symptoms. Cancer diagnosis and treatment can feel overwhelming. But physical and occupational therapy can help. If you are experiencing side effects, be sure to discuss it with your health care team. 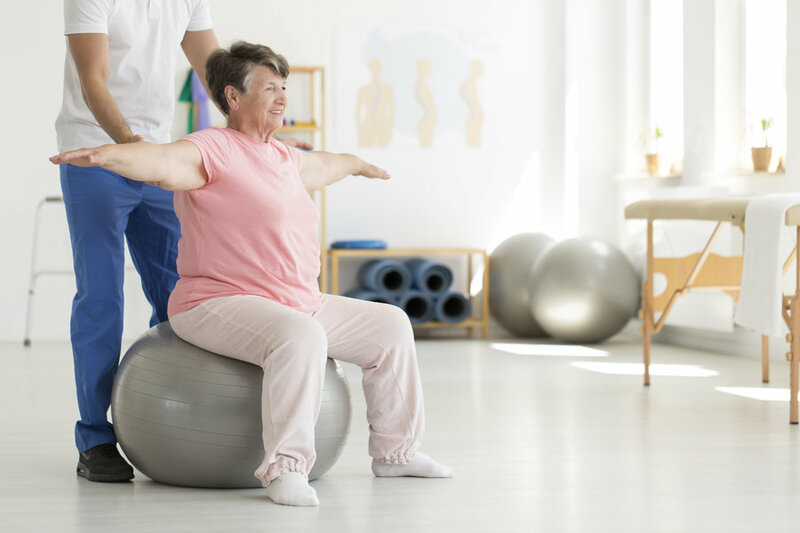 Rehabilitation may be just what the doctor ordered to help you feel better and improve your recovery. Learn more about outpatient rehabilitation for oncology-related effects available at Lifespan. Carrie Marcil is a clinical specialist in outpatient rehabilitation for Lifespan rehabilitation.